Yesterday I painted. Those who didn’t just meet me know this is kind of a thing. I’ve tried to pick up my brushes, but the hurt from losing my mentor’s guidance has been bigger than I anticipated. And that hurt is still there. Along with confusion, doubt and a host of other feelings and emotions that don’t do a damned thing to serve me. So what changed? Well, I was talking with my love-bug of a cousin and she told me about some folk art made by another family member. And then she sent photos of the pieces and I just about flipped. Those little gewgaws are so cool. And I never even knew they existed. I guess I was inspired, not only by the folk art, but also by my dear cousin. I won’t lie. When I placed myself before that canvas, I felt stuck. I didn’t know what to do and I drew a blank for a few minutes. And then I thought about something Mister told me the other night. He said that if I had gone through some sort of degree program in art, I would have graduated already and (probably) declared myself an artist. Then he told me that I don’t need to keep studying with someone, that I’m already an artist and I already know how to paint. Y’all – if my mentor called tomorrow and said he was back in business, I’d be his first customer. I will always value guidance and instruction. And I will always benefit from those things. But in the meantime, Mister may be right. I am an artist. I know how to paint. With that in mind, I put paint to canvas and did my best. Today is the first day of Autumn. A new season. A new beginning. I hope I’m starting anew, again. I hope it sticks. I hope that I, like this new season, am reborn. I hope. And then I hope some more. 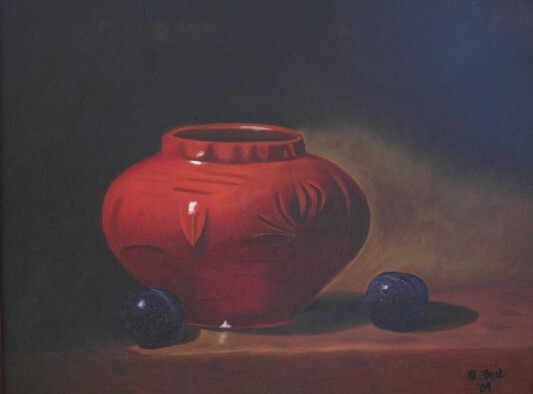 When this painting is finished, it will be my first without my mentor’s approval. That’s a big deal, for a lot of reasons. It’s bittersweet, to be sure. And it’s good. 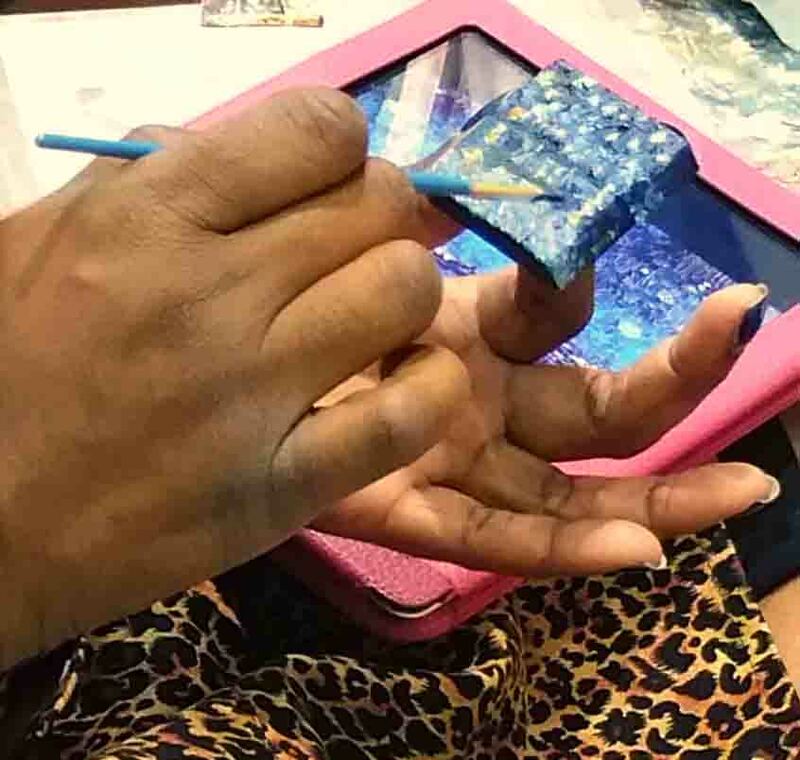 Like I told my painting buddy Nicole – we’re creators. It’s what we do. With or without a gentle, guiding voice over our shoulders. My painting buddy Nicole has been working on a little series. And when I say “little,” I mean little. Just look at the photo above. Trust me when I tell you Nicole has perfectly lovely, ordinary-sized hands. And yet you can hardly spot the tiny canvas she’s holding! I admire the heck out of her, but I have no idea how she does it. The woman must have the patience of the Dalai Lama. I just look over at her while she’s working on those little paintings, and my head starts to ache. Still – she’s inspiring. And while I certainly can’t pull off what she does, I may have to work on some small canvases my own self. I’ll keep you posted. I visited a gardening center this weekend and made the rounds. I only needed a little something for an indoor plant, but the way I see it – window shopping at a garden center is a sure-fire way to get an eyeful of some real beauty. 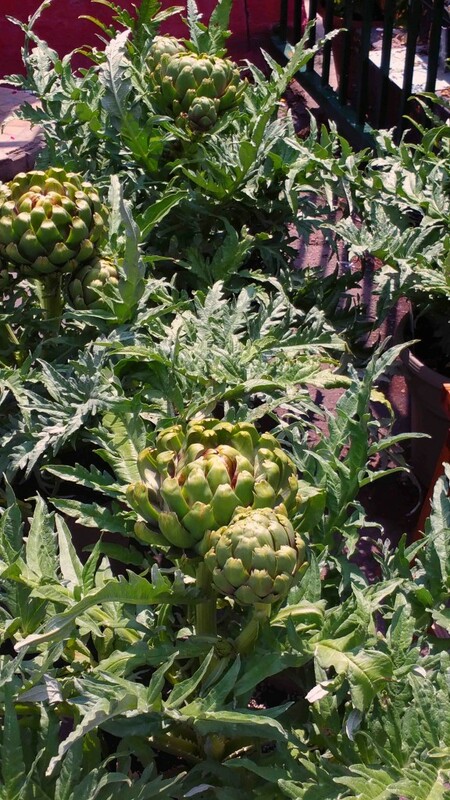 When I saw the artichokes shown above, I stopped in my tracks. Wow! 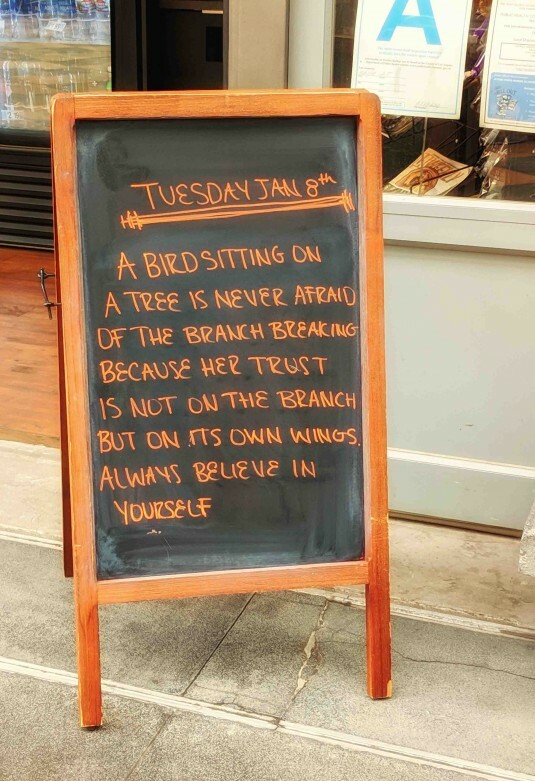 I was so inspired. 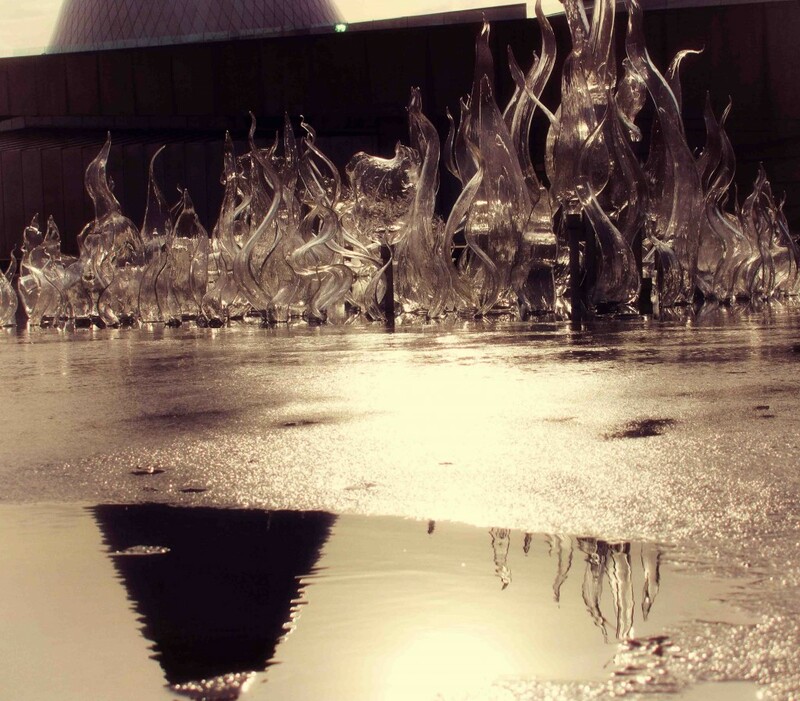 I started envisioning several of the spiky plants, clumped together in my yard. I could see the earthen paths around the patch. I could smell the artichokes steaming in the kitchen. I could taste the tender leaves, drenched in butter. And then I thought of the drought and how I absolutely, positively cannot plant anything right now. And since I didn’t find the danged thang I was searching for in the first place, I bid farewell to the beautiful artichoke plants, got in my car empty-handed and drove home. I am grateful for inspiration, wherever I can get it. And it doesn’t matter what type. Garden inspiration triggers the creative juices just as much as painting inspiration. So that was a good thing to have encountered. But I have to admit – putting gardening dreams on the back burner is a bummer. The other night Mister and I watched “Mr. Turner.” For those who don’t know, this film gives a glimpse into the final years of the famed British landscape artist, J.M.W. Turner. And it’s fascinating. The very next day, we went to The Getty Center to see the exhibit J.M.W. Turner: Paintings Set Free. The exhibit would surely have been grand at any time, but it seemed even more exciting, having just seen the film. A couple of times I rounded a corner and gasped, as I remembered a painting from the film. And then it was before me! It was pretty cool, and I’m so grateful I got to see these works in person. I expected I’d enjoy this outing. And I did. What I didn’t expect, however, was to be so jealous. I see art all the time, some of it well-known. And I often marvel at what I see. I can be impressed by perspective, by technique, by emotion. But friends, when I saw the works by Turner, I was overcome. His masterful use of light… His ability to paint so little, yet suggest so much… His brilliant skill for detail (not often employed)… All of these things left me feeling small. And yes, jealous. I understand Turner trained his whole life. I get that. And please don’t misunderstand, I am not comparing myself to J.M.W. Turner (duh). It was just such an odd feeling to find a painter who stirred me to want to learn more, to be better, to expand my own abilities and horizons. It caught me off-guard. I didn’t see it coming. Now that I know how inspiring Turner’s works are for me, I can use that knowledge to work on studies of his art. And maybe I’ll learn a few things. Lord knows, there’s always room for improvement. I am absolutely hooked on HGTV’s “Fixer Upper.” If you’ve not seen it, it features Chip & Joanna Gaines, of “Magnolia Homes,” a real estate/design/contracting/shop-firm in Waco, Texas. This husband-wife team tackle renovation projects for folks in the Waco area. They’re lovey-dovey. They’re funny. They’re creative. And when I watch this show, I feel so inspired! Now, don’t get me wrong. I absolutely do not wish to reside in Waco. Nor do I believe everything I see is completely sincere. (It is television, after all.) But I am drawn to this couple and their work. I guess Joanna’s design aesthetic jibes with me. And I know Chip’s goof-ball behavior resonates. At the end of each episode, a beautiful home – that also happens to be beautiful art – is seen. And I am quite moved by the vision. And even if the majority of what is shown is fake, I don’t care. I love the way they love each other. I love their carpenter’s use of reclaimed wood. I love the openness of their designs. I love how friggin’ cheap it is to live in Waco! Honestly, I love the beauty of their projects. For I love beauty, period. Another Olympics Games, closed. I relished these winter sports, as I do every 4 years. Not only do I admire watching the athletes display their skills (skills they’ve honed for-practically-ever), I also love-love-love the sportsmanship. For though examples of bad sports may be found, those tend to be the exceptions rather than the rule. And that just makes me bubble! I love the way teammates cheer each other on. I love the way medalists congratulate one another, no matter which countries are represented. I love the stories. I love the heart. I love Bob “Pink-Eye” Costas. The Olympics remind me just how small the world can be. And just how large. They remind me to appreciate the talents of others. And they remind me to work toward my own. I’m sad the Olympics are over, but also ready to get back to bid-ness. Maybe the charge I feel from the Games will stick with me a while. And if it doesn’t, I’m not worried. The 2014 Paralympics Games open on March 7th. Bring on the inspiration! I’m the type of gal who looks for inspiration around every corner and beneath every stone. I am often rewarded with more than I bargained for. More than once I’ve found myself crying – gratefully – in response to some little grace provided by the Universe. Just when I needed it. The medium of the message varies – radio, books, magazines, conversation, fortune cookies, tea bags – which keeps life interesting. And surprising. 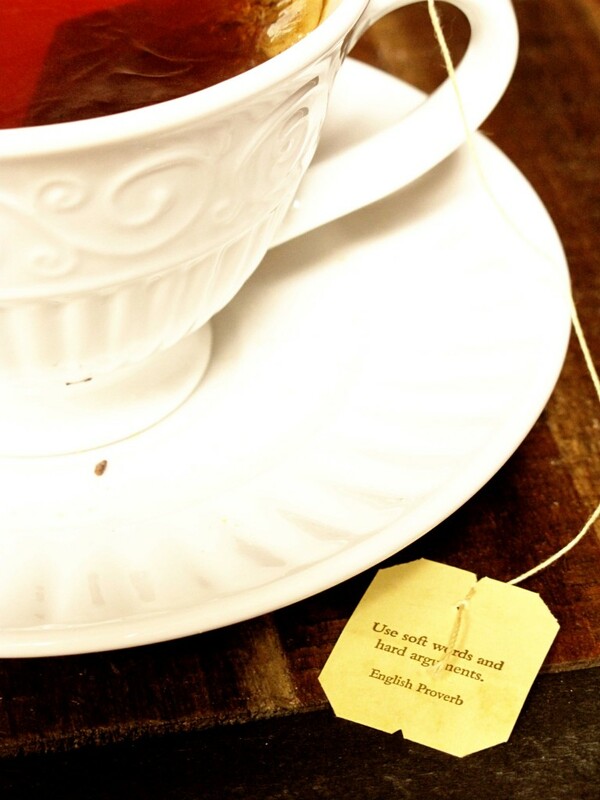 I’m not sure how yesterday’s tea message applies right now, but I’ve got it in the back of my brain – just in case. True heroes are incredibly rare. They aren’t perfect, nor do they pretend to be. They are often quite flawed. Their flaws are what make their heroism all the more impressive. Nelson Mandela – may he rest in peace – was a wonderfully-flawed, fantastic hero. During my life he has been an inspiration and a role-model. While I am saddened by his passing, I am also beyond grateful he walked this earth. He accepted the role of public figure and endured some of life’s worst perils. He didn’t have to. He didn’t have to serve. He didn’t have to stand up and represent the human race. But he did. And the world is better for his leadership. I know I certainly am. “Be The Buffalo” Winner Chosen! 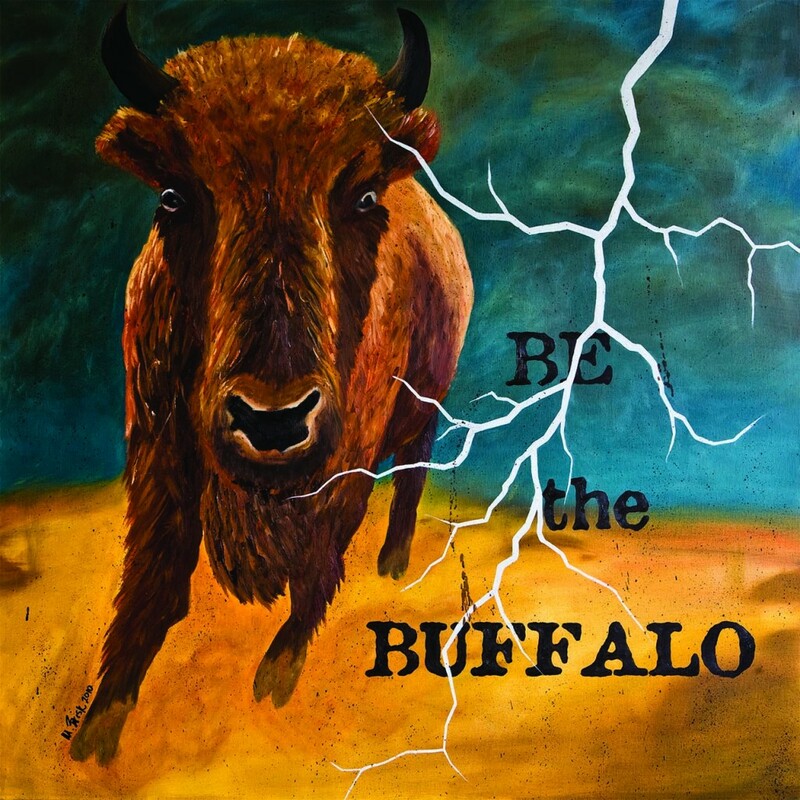 Congratulations to J. Dukes, as she is the winner of the “Be The Buffalo” print give-away! While I’ve sold these prints before, this is the first time I’ve given one away. And something about that makes me smile. For all I know, the print may never provide inspiration to its new owner, but the sentiment and message definitely help me. When I remember to turn to it, that is. Many thanks to all of you who submitted your comments in this little contest. It means a lot to me.